Marquee lights can really light up a work desk, a study table or a corner of the house! And the good folks at Mango People have just the cutest collection! 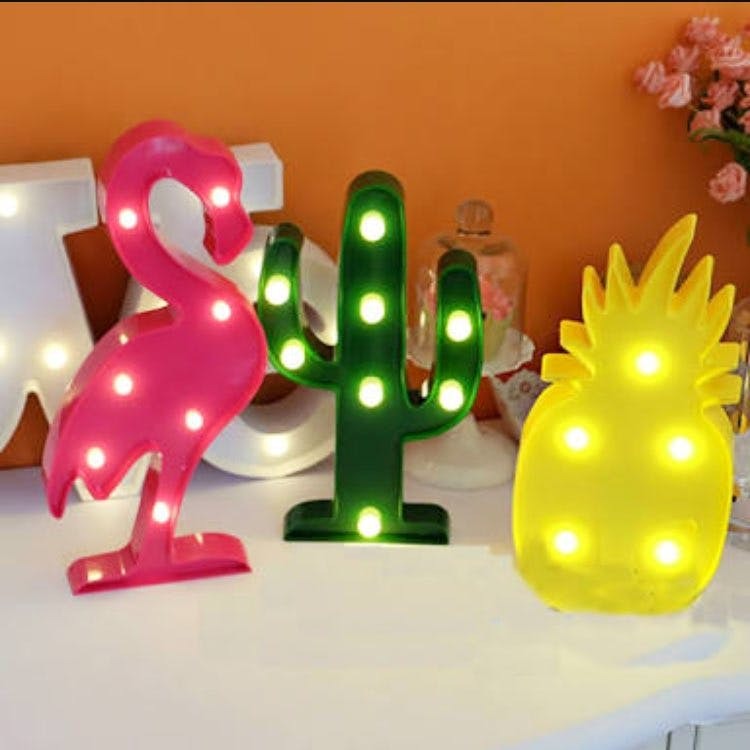 I'm a fan of all things cactus and pineapple this summer, so imagine my excitement when I saw both and then the pink flamingo caught my attention and I had to order all three for my office desk! The delivery was on time and the quality is great. They can bring a real sense of timeless dazzle to any space. Stock up on the batteries coz they only work with a2 cells. Would've been good to have a USB charger for the electric wire for it. Along with marquee lights, they also have a lot another Instagram-worthy things like cinema boxes, donut cushions, unicorn pool floats and the likes!